The Heritage-listed Brookfield Uniting Church is a beautiful country church located in a rustic setting only 15km from the CBD of Brisbane. The historic little wooden church is situated at 2 Upper Brookfield Road, Brookfield which is a semi-rural suburb of Brisbane, Queensland, Australia. There is plenty of parking available and is easily accessible. The Church’s history dates back to 1869 and forms part of an historical precinct incorporating Brookfield State School, The Anglican Church of the Good Shepherd, the Cemetery and the Showgrounds. To mark the Church’s 125th birthday, a book entitled Different Tracks was published in 1998 written by Libby Wager. Despite many obstacles, the Church has endured and is proud that it helped to build a community which still retains a friendly, rural atmosphere. 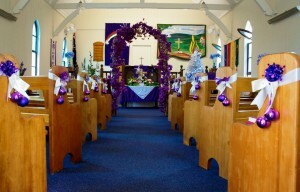 The congregation which includes many descendants of pioneering families endeavours to play an active Christian role in the evolving character of the Brookfield community. 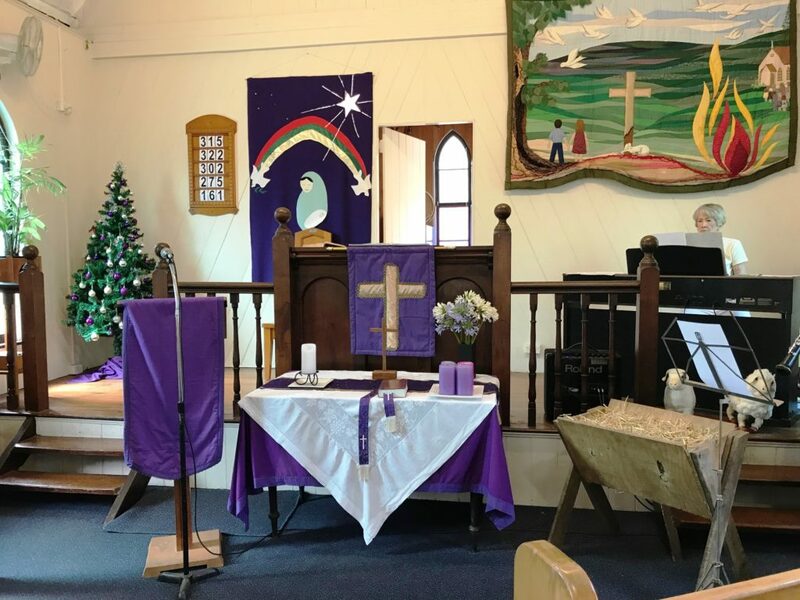 The Church’s Outreach Activities include holding a Country Market in September each year, providing Breakfast for participants in the annual Bush Christmas Fun Run and holding a twilight Christmas Carols Service. Photo at top of page courtesy of Kaz Lawson. On Good Friday there will be a Worship Service at 8.30am and Easter Sunday at 8.30am. All welcome. The next Church Council Meeting will be held on Tuesday 23 April 2019 at 7pm. Our Minister, Dr John Roulston AM, will be at The Cottage which is adjacent to the Church every Tuesday from 9.00am to 11.30am. Feel free to drop in for a cup of coffee and a chat. A Galaxy of Bridal Gowns will be held on Saturday 8 June, morning and afternoon sessions – see details on separate page.